No person should go hungry, especially in this harsh winter. 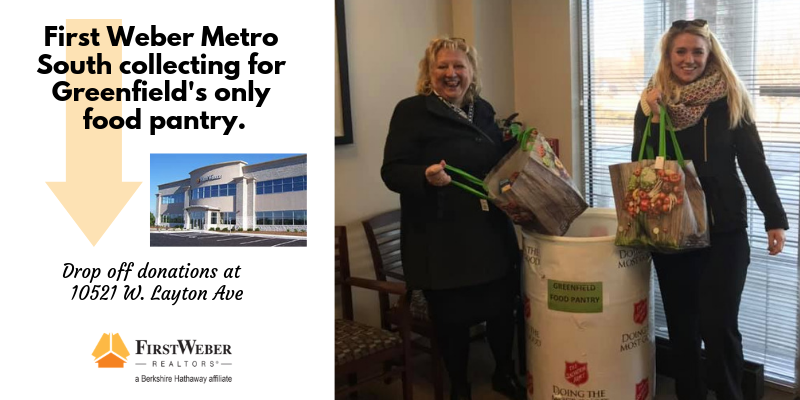 Food donations are being accepted by the agents at our Metro South office located at 10521 W. Layton Ave in Greenfield. Food is being donated to Greenfield’s only food pantry and First Weber is pleased to be a strong supporter of the community. If you are in the area, please consider stopping by with a donation. Thank you in advance.